Departing Villagio Hare Krishna in Milan, Italy on Friday, April 27th, we traveled about three hours to ISKCON Zurich for a program the same evening, giving us time to get back to Mayapur for Lord Nrsimhadeva’s Appearance Day mahotsava. The usual program was held in the evening with kirtan, abhisheka and presentations by Jananivas and Braja Vilas prabhus. And once again, the devotees were so overwhelmed by Lord Nityananda’s mercy that, although only twenty five devotees were present, 65,000 Euros/77,000 USD was pledged. 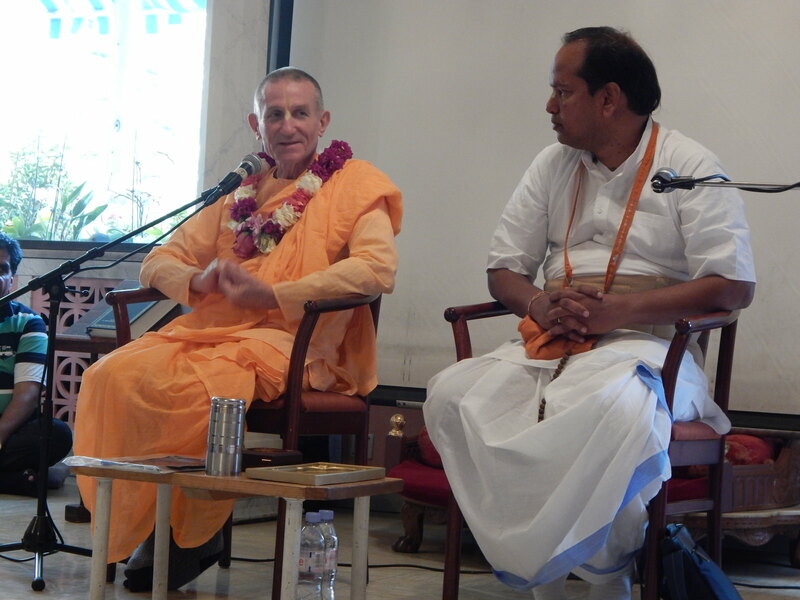 The temple President, Krishna Premarupa prabhu was so enthusiastic that even after we left and despite a large monthly mortgage payment, at the Sunday program he raised an additional 10,000 Euros/12,000 USD for a total of 75,000 Euros/90,000 USD. This is the type of sacrifice that brings the blessings of the Lord. We would like to thank the GBC, Dina Sharana devi dasi and temple president Krishna Premarupa das for their support and cooperation which inspired the generous response from all the devotees. The tour is now completed and the Padukas and Sitari have returned to Their places on the altar in Sridhama Mayapur.